In Sicily, I saw fields where windswept vines are shaped like bushes, (often held down by stones); I saw vines that resembled the elegant branches of a harp; others that threaded along a wire in orderly rows like soldiers. 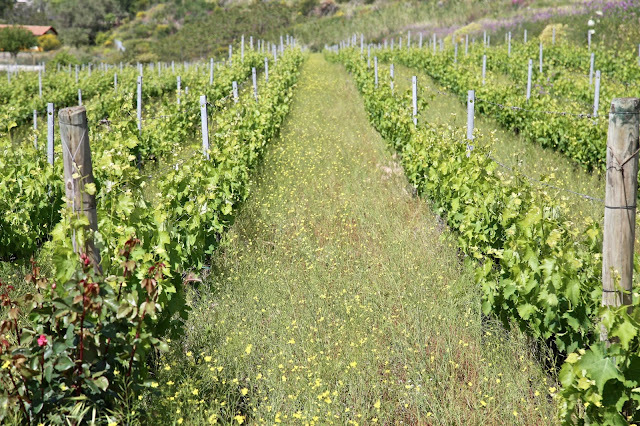 I could also see the influence of the natural wine revolution on traditional winemakers: whereas vineyards used to be tidy regimented lines without weeds, now wild flowers grow abundantly between the tiers of vines. 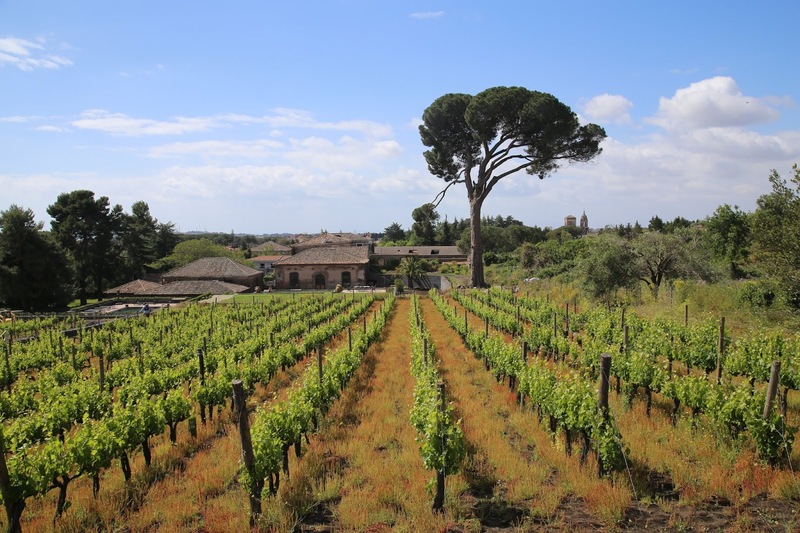 Despite the fact that fact grapevines thrive best in poor soil, vineyards are situated in some of the most beautiful scenery in the world. 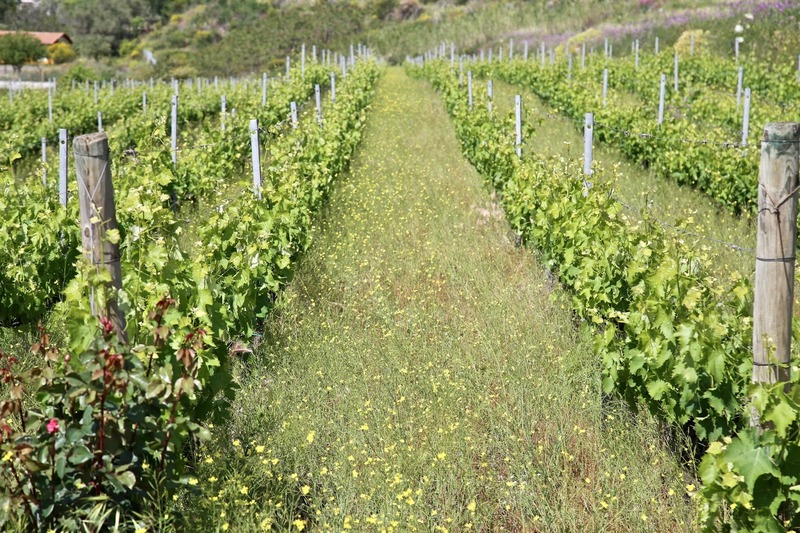 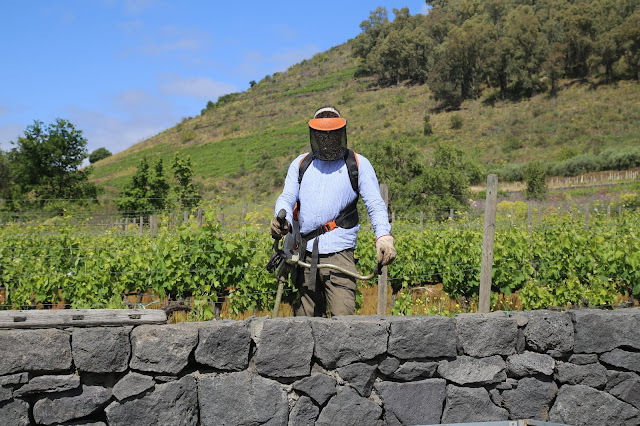 The island boasts 76 cultivars of grapes; some, like Grillo, Nero D’Avola, Zibbibo, Catarratto, Carricante and Perricone (the antecedent of Marsala wine) only grow here. 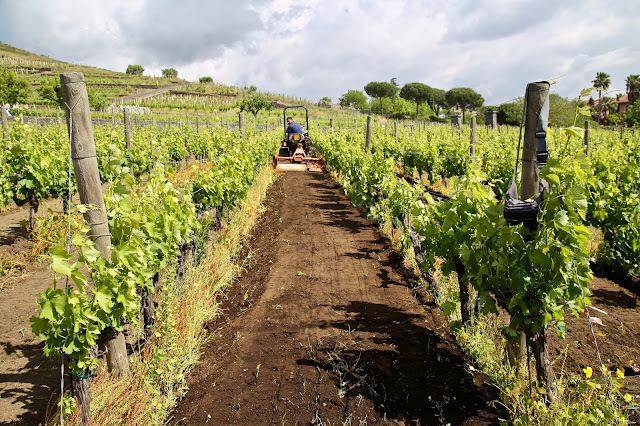 The soil too, is varied: 12 kinds, from jet volcanic pumice to red clay schist, chalky limestone cliffs or ochre sand. 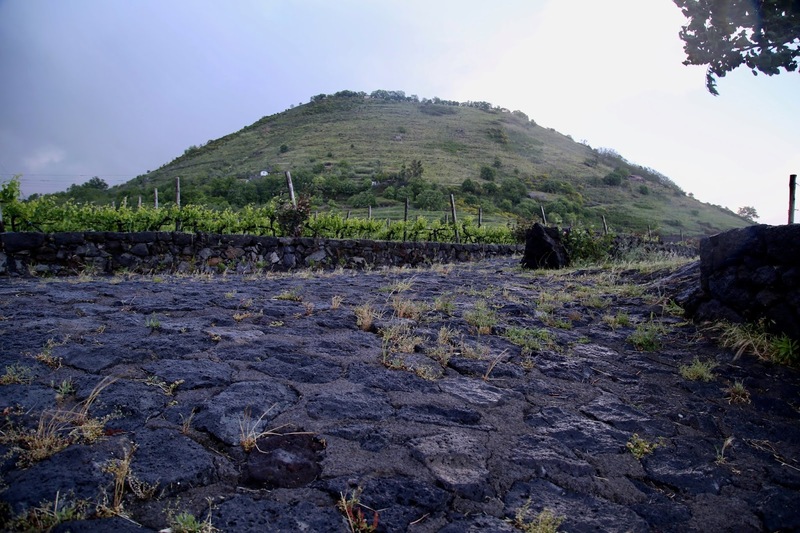 Around Mount Etna is probably the most visually arresting; even olive green foliage pops when the background is black.